The Marquesas Keys are an uninhabited island group located around 30 miles west of Key West. These tranquil island are protected as part of the Key West National Wildlife Refuge and are home to mangroves and marine wildlife, making them a popular site for divers and snorkelers in the area. The islands are technically part of the Florida Keys despite their distance from the main island chain, and are arranged around a central lagoon called Mooney Harbor, a beautiful site which has become quite famous. The largest island is the one farthest to the north, which features an open sand bar. It is believed that the area may have formed as a result of a meteor strike and not a volcanic eruption. It takes its name from the Marquis de Cadereita, a Spanish Treasure Fleet commander who lost a number of ships in the area (the artifacts from which you may find in some of the museums in town). The depths around the Marquesas Reef line range greatly—some spots are very shallow while others are as deep as 70 feet. 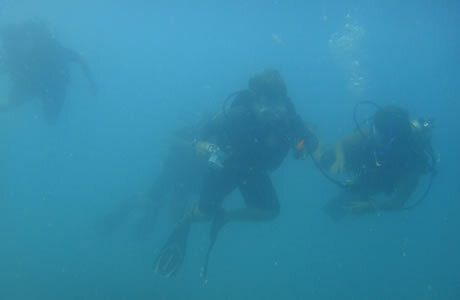 That means this area is accessible to divers and snorkelers, and may appeal to novice and advanced divers alike. There are many large coral formations just south of the islands as well as exciting caves to explore (not very big, but still interesting). Divers sometimes spend the night here because there is so much to see and do and so much variety in the activities; too, you can enjoy the islands in relative seclusion. It's also a popular spot for spearfishing for groupers and snappers. You'll find many charter boat tours that go to and from the islands throughout the day and which you can commission for a day trip or an overnight stop.